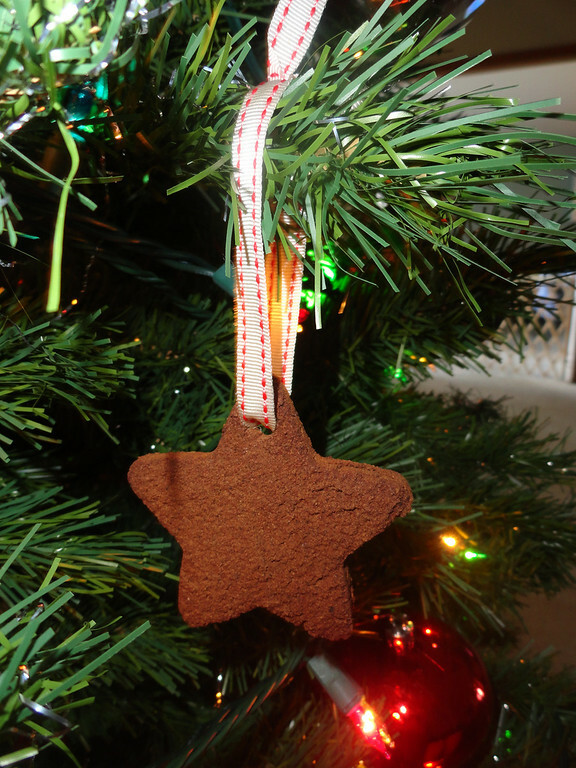 DIY Cinnamon Applesauce Ornaments Mama Say What?! | Mama Say What?! Looking for a simple small gift idea for coworkers, friends, neighbors or family? I make these every year, and they’re always a big hit. Everyone loves something that smells good—and your house will definitely smell amazing while making them! 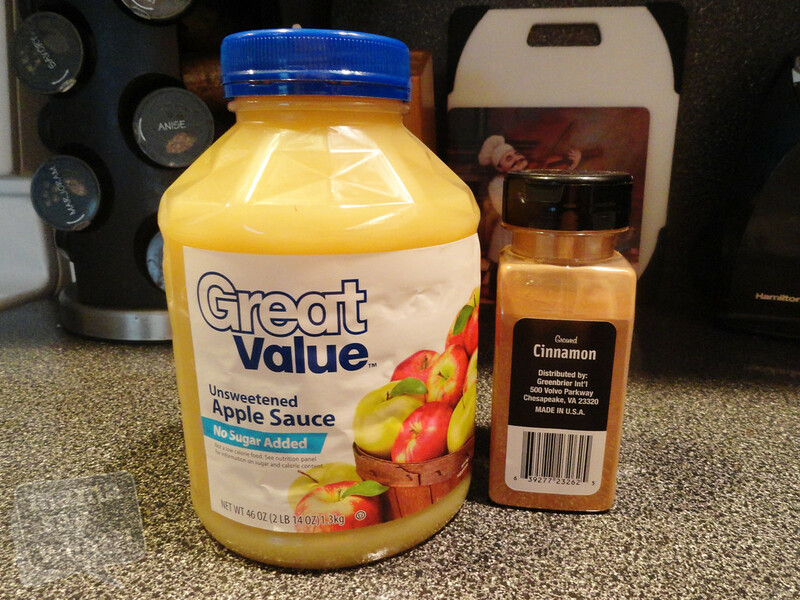 Mix together your applesauce and cinnamon until it creates a nice dough. 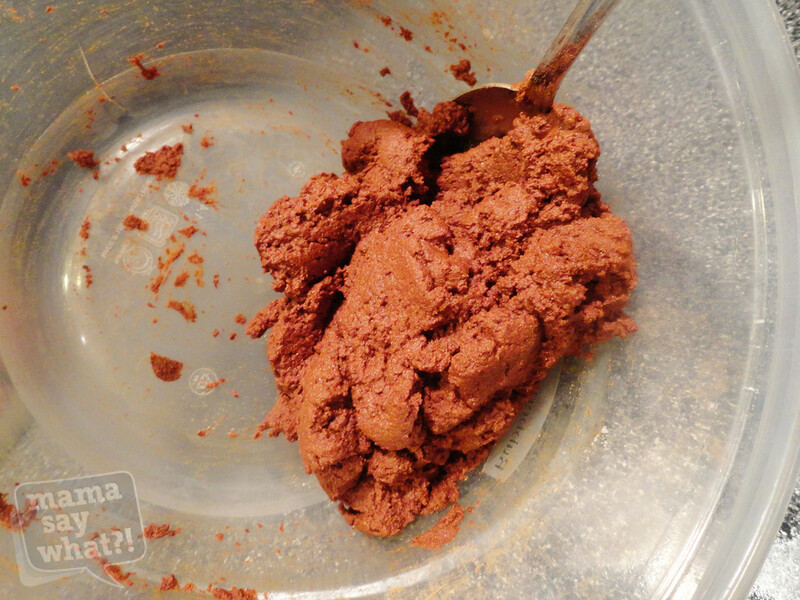 Once it’s all mixed together, if you notice it’s too wet, add more cinnamon. If it’s too dry, add more applesauce. Don’t add any extra, though, until you’re sure it’s well mixed! 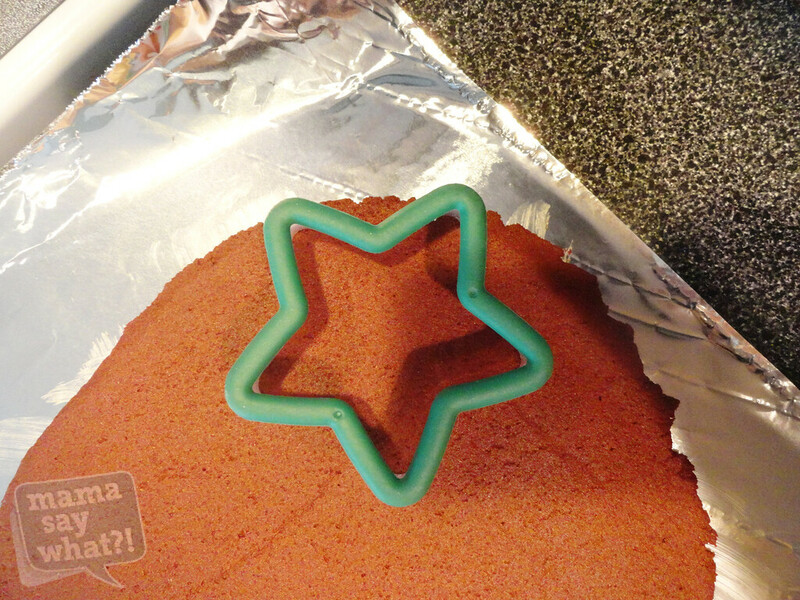 Split up your dough into four equal pieces and place one at a time on your wax paper (I actually used aluminum foil). Put another layer of wax paper over top. 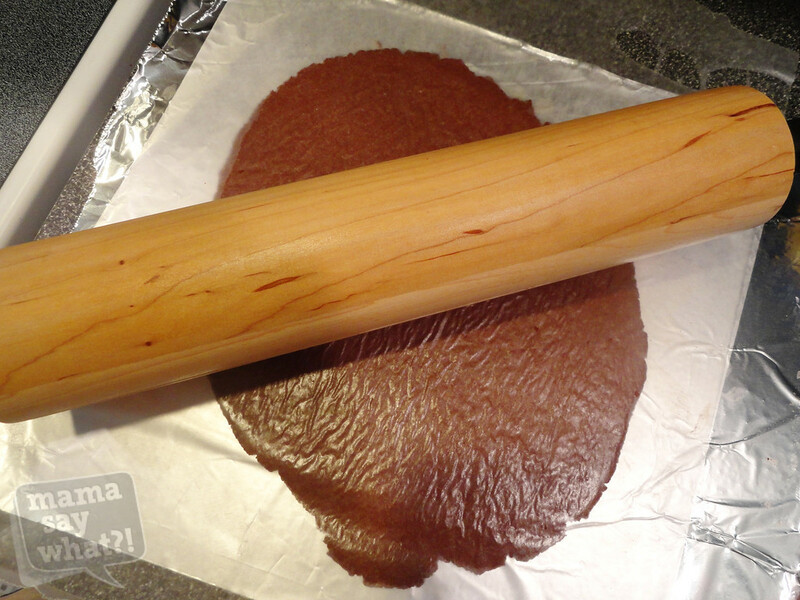 Roll with your rolling pin to your desired thickness — I did about ¼”. If you don’t use the wax paper on top, your dough may stick to your rolling pin. 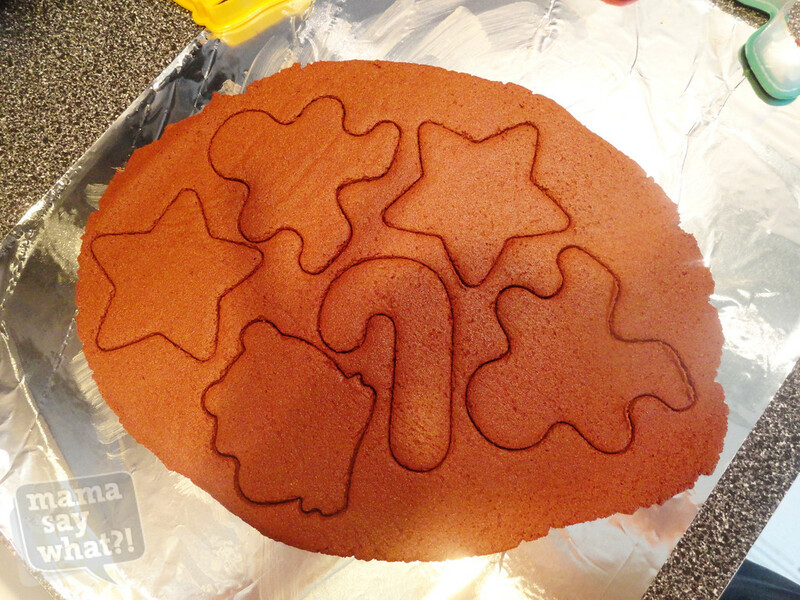 Peel off your wax paper and use your cookie cutters to cut out shapes. You’ll then take your straw or skewer and poke a hole in the top of your cutouts so that you can tie a ribbon through once they’re done. Repeat this process until all of your dough is used. Place your cutouts on a cookie sheet and put them in the oven for two and a half hours at 200˚ Fahrenheit. They should be rock hard, so you may need to pop them back in the oven a bit longer if they are not. Once they are hardened and cool, you can tie your ribbon or string through the hole. You can use these as ornaments, tie them to gifts, or I’ve even seen shapes like stars or hearts where you can poke a small hole on both sides and create a garland out of them. They make your home smell great while making them, and even afterwards. Just remember, if you gift them, remind the recipient that they are not edible! Added by Sam A. on December 15, 2012. Great idea! Definitely making these! These are so rad! Definitely giving them a try. It’s not edible? It’ll just be extremely spicy and unpleasant right? haha! They might make a great Dare treat at a christmas party. my son made these at a play group and i wanted to make more with him at home. now i know how to do it!! So this might be a dumb question, but do these need to be thrown away after Christmas? Not so good to store for the next year?